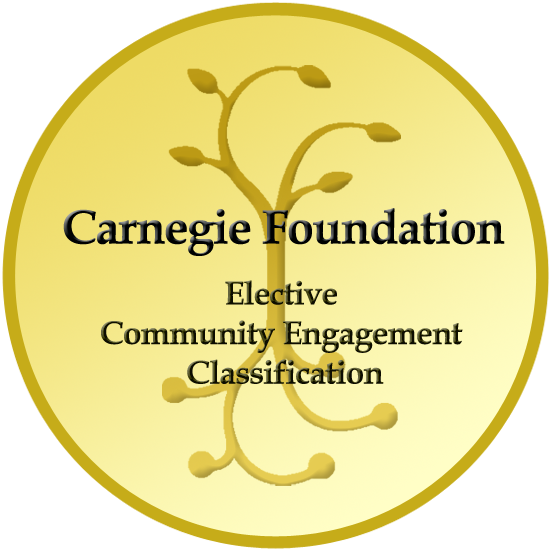 When Kansas State University was awarded the Carnegie Foundation's 2010 Community Engagement Classification, the university was one of only 61 public institutions to receive this engaged institution designation. What this means is that K-State is known for teaching, learning and scholarship that engage faculty, students and our community alike. At K-State, we take our mission of service and outreach seriously, always looking for opportunities that live up to our Carnegie designation and offer a mutually beneficial exchange, exploration and application of knowledge, information and resources. And the impact we have on our community is unmistakable; K-Staters are difference makers. According to the Carnegie Foundation, engagement is defined as "the collaboration between institutions of higher education and their larger communities (local, regional/state, national, global) for the mutually beneficial exchange of knowledge and resources in a context of partnership and reciprocity." K-State is on the path to becoming a Top 50 public research university by 2025. And as we succeed, so do Kansans.